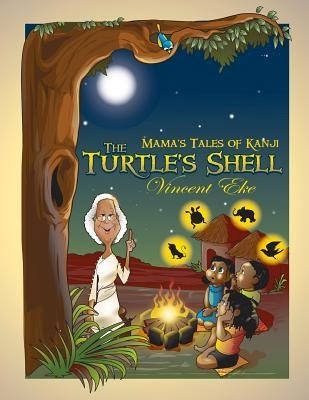 The Turtle's Shell tells the story of Tobi, a smart turtle who thinks he can get away with deceiving his friends. He ends up learning a few shell cracking lessons. This friendly easy-to-read book shows children how our everyday actions and decisions always consequences. This story also draws attention to the nuggets of wisdom embedded in African cultural stories which can be emulated by any child whatever their racial background. I love reading folklore. This story tells how the turtle got the patches on his shell. This is a wonderful story that teaches children the importance of compassion, community service, not being greedy, doing the right thing, sharing, caring for community. The story is told to a group of children by a wise woman of their village. When famine his the animal kingdom the lion calls a meeting and they decide to find food and share it. However, the turtle sets out with great intentions but becomes greedy and doesn't share with his fellow animals as agreed. This is a story that children and adults of all ages will enjoy reading over and over. The cool thing is that this story book has coloring pages within it. 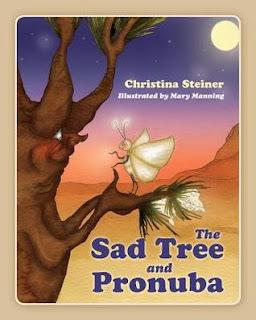 This is a wonderful book about a Joshua tree that grows in the desert. He was sad and lonely because he was the only one of his kind. Then he learns there is another, but he can't move to visit or even see it. A small moth is allowed to lay her eggs inside his flowers. In exchange she helps him out. This is a story that teaches a science lesson of how the interaction of nature recreates life. This was beautifully told, simply told so the youngest child will understand. The pictures were beautiful. Another great book for children to read or for parents and grandparents to read over and over again to children.